Boreholes, which are long, narrow holes that are dug in the ground in order to access underground water stores, make it easier to utilise this life-giving resource more efficiently. It goes without saying that these environmentally-friendly solutions offer a number of benefits. We take a look at a few of them below. Municipal water prices have been increasing for many years now, and in light of the current water crisis, there’s no doubt that they will continue to rise. Luckily, making use of borehole water won’t cost you a thing – along with this, boreholes tend to add plenty of value to your property, which is good news in the event that you decide to sell up and move. While it is true that the initial digging and drilling process can be quite expensive, general maintenance and operating costs usually won’t cost you more than the electricity that is necessary to power the pump. In short, expect a large initial outlay for a massive long term saving! You won’t need to rely on municipal water when you have a borehole at your disposal! While this definitely doesn’t mean that you should stop being concerned about how much water you’re using, it certainly takes a portion of the stress and worry off of your shoulders. One of the most important things to keep in mind when making this investment is to choose wisely when it comes to the contractor or company that will be creating your borehole as there is a chance that the underground store of water could become polluted if the right precautions are not taken or the right equipment is not used. Be sure to find out whether or not you will need to register your borehole with the municipality. Generally, if you will be using the groundwater for domestic purposes only, registration is not necessary. 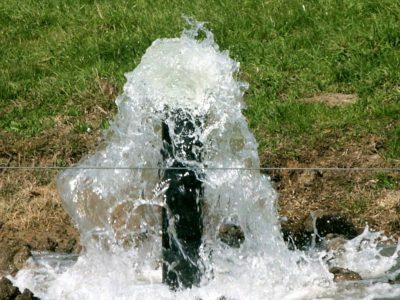 Make sure that you know exactly how to look after the water within your borehole. For example, ensure that it is not possible for any contaminated stormwater runoff or dangerous pesticides to make their way down the hole. Ultimately, in order to reap all of the benefits of a borehole, it is essential that you do plenty of research before taking the plunge and starting to drill! As long as the right planning takes place, you are sure to enjoy many years of fresh, limitless water ahead of you! For more information about boreholes and the limitations surrounding them, do not hesitate to get in touch with us at Letsolo Water and Environmental Services on 082 821 6621.